Nice! Welcome aboard! If you don't have one already and have a hundred bucks burning a hole in your pocket there's a brand new yellow solo cowl on ebay right now. Wish it was '99 black... found out they're no longer available from Honda. Last edited by captainchaos; 02-25-2015 at 08:19 PM. Welcome Bustin. You'll enjoy the Superhawk. They say yellow is one of the faster colors! Yeah, yellow is a good color. Welcome! That's my favorite color for a motorcycle. Thanks for the compliments, everyone. I've wanted a SH since they were new on the showroom floor, but sometimes have to wait for a decade or two to get one of EVERY Honda I've ever lusted after at the right time and the right price. Gotta wait for all the gears to mesh just right , then BINGO ! .... a new baby hits the scene. When I was a kid back in the 70s, I painted most of my model rockets bright yellow and black , so I guess this Superhawk is a sort of homecoming for me. 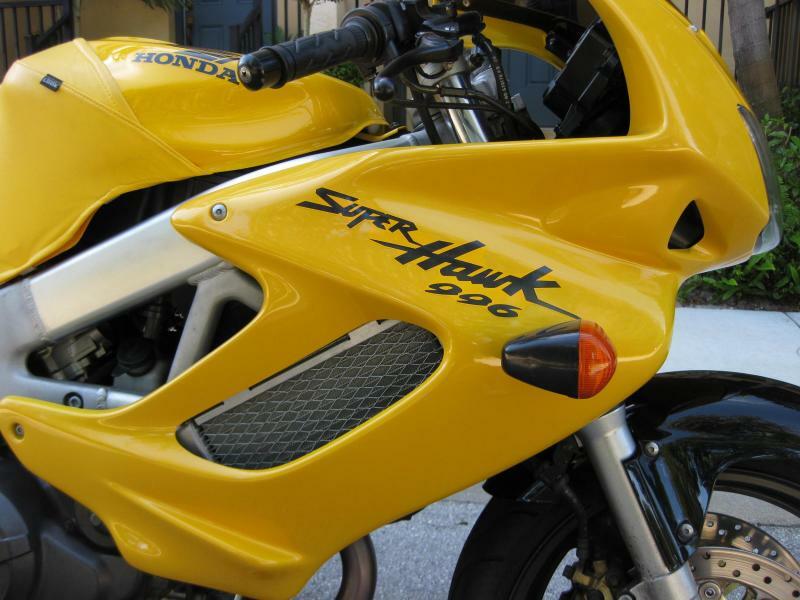 I'm enough of a Honda guy to fantasize about some kind of tasteful HRC based red/white/blue color scheme on a Superhawk....kind of like my '86 CB700SC Nighthawk, the early Interceptors, or gazillion other Honda offerings in those traditional HRC racing colors. But I'm also enough of a Honda guy to respect original factory paint schemes, so unless we are starting from scratch on a basket case, a bike in my collection will probably look a lot like it did when some lucky fellow rode it out of the dealership, brand new. The VTR is a great score . I've also been trying to find the right GB500 for about five years now, and shopped even longer for an NT650. Patience is the key , when it comes to building a collection without simply plunking down top dollar and having bike shipped in, etc. Thanks for the tip, Captain. I actually have a red SH solo cowl on hand, and am considering having it painted yellow along with my factory chin fairing (not pictured). 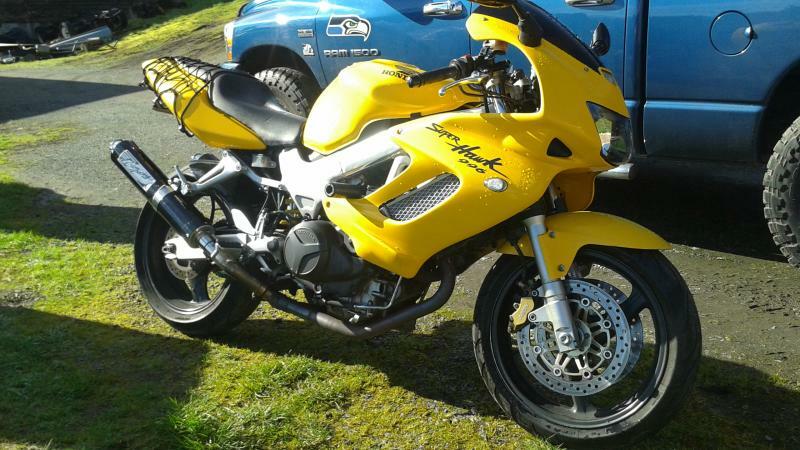 I Just have to decide if I'm going black, or factory yellow on the chin fairing ... If I buy the Y124P paint , the seat cowling gets it too. I'd leave the chin fairing correct in the factory silver if it had a decent finish on it now, but it was a bit trashed when it came my way. I'm all for the factory look, but that silver chin fairing just doesn't resonate with me , so I thought either black (to match the black rear hugger , sliders, etc. etc. ) or color-matched in that nice Honda Yellow would be an upgrade. Leaning towards yellow...it has the venerable quality of hiding dirt pretty darn well , not to mention caching that zombie cager's wandering eye occasionally. That chin fairing is down in the grimy zone, and though I like to keep all my bikes tidy, I'd rather spend my time ridin'em rather than washin'em . The seat cowl itself is a quandary. It's a clean, tight look , no doubt. The fact of the matter is, I bought this Superhawk because I have a short commute and that gives me the luxury of riding something kinda "impractical" by the standards you typically measure a commuter bike with. I invariably end up trying to carry a bag or box of something on the back of my daily rider , so the seat cowling might be awkward. Plus, I'm a single guy, so that pillion seat could come in handy this summer . I'm a Honda dealer so if you have the P/N handy for the black cowl you want, shoot it to me via PM and I will run it through a couple channels that Joe Public doesn't have access to... and see if I can get a lucky hit on one for you. No promises , but I don't mind lookin' . Last edited by Bustin; 02-26-2015 at 10:20 PM. Nice find, but it's so yellow, and the second fastest color. 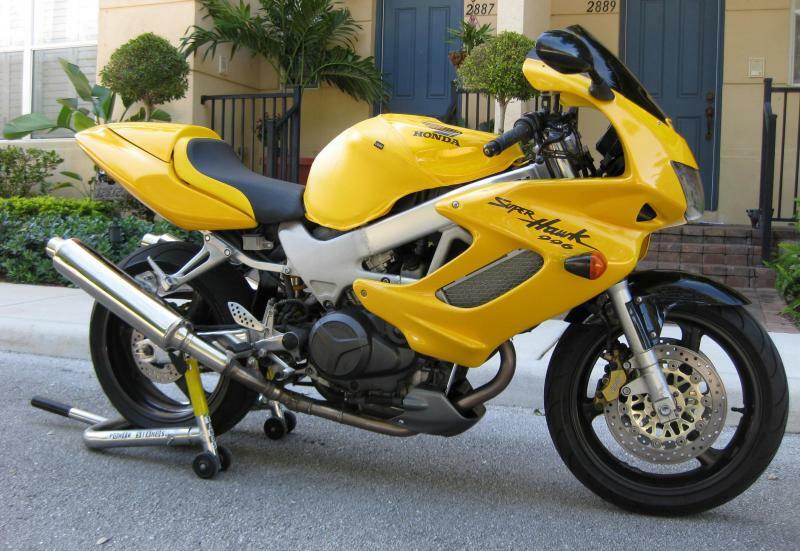 A local (to me) Honda dealer has, as one of his many personal bikes, a yellow '99 that he repainted in a yellow that was used on Goldwings. He had it put back to as close to stock as possible. If you look closely, the difference in colors can be seen in the new decals on faring and tank. The new paint really pops the yellow. Richer and much more depth to the finish. I love my yellow bikes. I only wish my VTR was yellow. I think they call that Goldwing color "Pearl Hot Rod Yellow" , and I agree, it's one of the best of the bunch. Beautiful bikes, Jim. That VFR is a nice ride... those V-4s sound incredible with a set of pipes on them. In fairness that's also not the best picture to showcase the color. In person up close the pearl in the paint is really nice. Here's a '99 I rebuilt and sold a few years ago. If you are looking for a Black 99VTR mine is for sale. 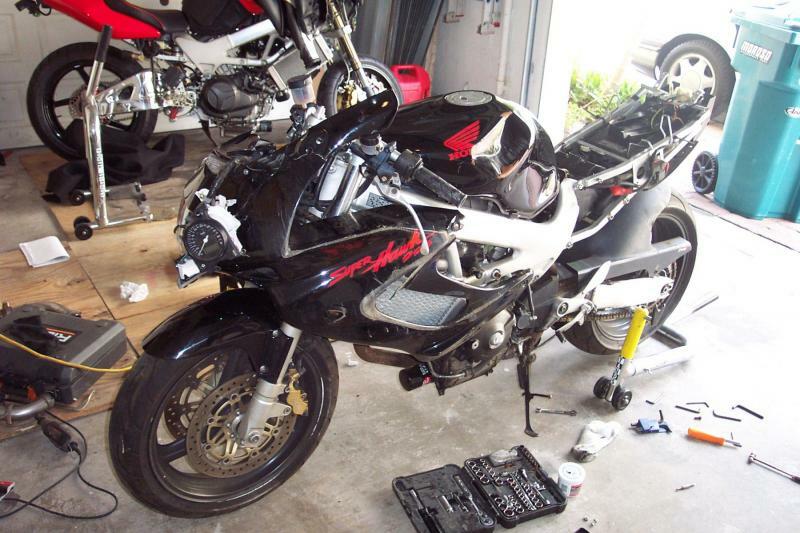 Bike is clean and has been well maintained. I am the original owner. Agreed Captain, and beautiful job on that one .That Goldwing Pearl Hot Rod yellow has a metallic component, so you really need to see it popping in the sun to appreciate the difference from our SH yellow. Beautiful stuff....but it's kind of a bear to replicate well if you are in any kind of touch-up mode. If I'm not mistaken, it's a three part finish.... base coat, metallic coat, and clear coat. Excellent choice if you want to repaint a SH and aren't trying to keep it 100% factory correct. 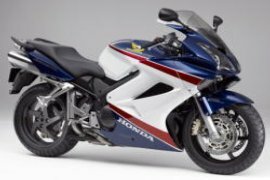 I once saw a Honda ST1300 painted in the red, white and blue and it just changed the whole look of the bike. It looked amazing. Agreed Captain, and beautiful job on that one .That Goldwing Pearl Hot Rod yellow has a metallic component, so you really need to see it popping in the sun to appreciate the difference from our SH yellow. My stock '99 Y124P Pearl Shining Yellow SuperHawk has a metallic component to it. Last edited by VTR1000F; 03-01-2015 at 01:19 PM. Yes it also has a metal flake in it as well. I bought a wrecked black '99 a few years back. Mechanically it was perfect besides one warped brake rotor. Cosmetically it needed everything with regards to the bodywork. The way it worked out I scored a mint yellow tank, headlight fairing, and solo cowl. Wasn't deliberately TRYING to change from the black (I actually love that color scheme and now own one) but being a one year only deal replacement stuff was and still is really hard to come by, and the yellow was still "correct" for the '99 and was made more than one year, so it's quite a bit easier to find. So I repaired some cheap side fairings and a tail and had a local body shop computer color match the paint. It came out fantastic. Probably a 95% or better match. You certainly can't tell in the pictures (you'd never have known in person either unless I were to have told you). It's cool that technology allows us to do that kind of quality work on a budget. Think I had a total of $1200-$1300 in that bike. There's also a metallurgic component. Aren't we saying the same thing, captain? The metallurgical component to the Goldwing's Y130P Hot Rod Yellow is much more pronounced , maybe just due to the fact that the base coat has less orange in it, I dunno. All I do know is that my SH's paint looked kinda weak when I parked it next to my buddy's '03 Wing last Saturday , with the sun beatin' down on them. Sorry I was just agreeing with you, as in "what he said." I didn't mean in addition to the metallic component it also has a metalflake lol... although now that I read it it sounds that way.